Recovery from bankruptcy can be both challenging and complicated, but it is possible. There are many options for home financing and bankruptcy auto loans in St. Peters. Since bankruptcy is one factor that dealers consider when looking at you as a credit risk, it pays to know where you stand in advance of your auto loan application. Realize that it is likely that you will pay a higher interest rate than someone with a good credit rating and that you will be required to front a larger down payment – usually about 10% of the car price. A Chapter 7 bankruptcy accounts for about 70% of all bankruptcies. In this type of situation, debts are cancelled and the bankruptcy remains on your record for up to 10 years. For Chapter 13 bankruptcies, you pay all or a portion of your debt but the process time takes about 5 years. It stays on your credit report for 7 years. 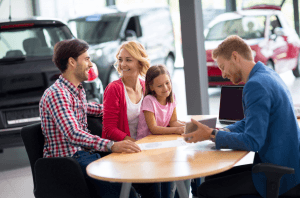 There are some steps you can take to ensure that you not only get a reliable used car, but also pay a fair price and secure affordable financing. 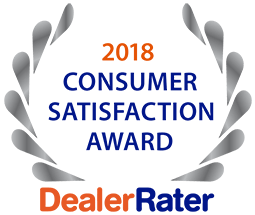 Shop around the various dealerships in the St. Louis area for a dependable auto and for a competitive interest rate. Know your budget and do not necessarily spend it all. Buying a used vehicle after bankruptcy is not a hopeless endeavor but it is in your best interest to do your homework. Remember that it is also an opportunity to rebuild your credit with car loan. Call 5 Star Auto Plaza at (636)940-7600 for premium used cars and bankruptcy auto loans in St. Peters.